Protecting privacy is important to us. This Privacy Notice explains how we collect, use, and share the information that we collect about individuals who visit the websites, mobile apps, and other digital media properties (collectively “Digital Properties”) of our Marketing Partners (defined below), as well as the options available to such individuals. In certain parts of this Privacy Notice, we refer to such individuals as “you”. We’ll try to make this all as clear and as simple as possible, but if you have questions, you can contact us privacy@zypmedia.com, and we’ll be happy to help. ZypMedia provides a platform for advertisers to find inventory that suits their needs and reach individuals who may be interested in their products or services. For companies, we help get advertisements in front of individuals who are most likely to find the advertisements interesting. For individuals, we try to place advertisements that are the most relevant and useful to them. In order to do this, we collect and analyze information about individual interests. Our main source of information is from our Cookies and Tags (more on that below) on our Marketing Partners’ Digital Properties. In some cases, our advertising customers may also provide us with Platform Data that they have independently collected. With this information, we try to understand the types of products or services that users individuals might find interesting so we can select the most relevant advertisements to be displayed to them and perform the Advertising Services described below. This Privacy Notice covers the information that we collect or receive, through our Advertising Services (defined below). It does not address any information collected from or submitted to the ZypMedia website. We use some words and phrases in this Privacy Notice that are unique to our business and/or unique to the online advertising industry. Here are some of the key terms that you’ll need to know to make it easier to review this Privacy Notice. Marketing Partners refers to the Digital Property operators and developers that allow us to collect information about the individuals who use their Digital Properties. 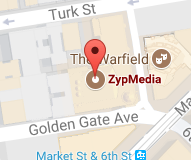 All of our Marketing Partners have installed ZypMedia Cookies and ZypMedia Tags (defined below) on their Digital Properties which allow us to collect the information to provide the Advertising Services they have requested. Advertising Services refers broadly to the entire set of services that we provide for our advertising customers (the companies that pay us to understand individual interests and place their advertisements), and Marketing Partners, such as the collection of information about individuals who visit the Digital Properties of our Marketing Partners, the analysis of that information, the provision of that information back to our Marketing Partners, and the selection and placement of optimal advertisements based on that information. Our Advertising Services fall under the umbrella of what is commonly referred to as “interest-based advertising” or “online behavioral advertising.” You can learn more about interest-based advertising at the following links: http://www.aboutads.info/consumers; http://www.networkadvertising.org/understanding-online-advertising; and http://www.youronlinechoices.com. Cookies Cookies are small files containing a string of characters that are sent to your computer when you visit a website. When you visit the website again, the cookie allows that website to recognize your browser and the website that places the cookie has permission to read its contents each time you visit the website. Cookies may store user preferences and other information. You may be able to adjust your browser to refuse all cookies or to indicate when a cookie is being set. However, some website features or services may not function properly without cookies. ZypMedia Cookies can be identified by their URLs: zypmedia.com or extend.tv. Tags (aka pixel tag or becon) is a piece of code embedded on a Digital Property that collects information about individual’s engagement on that Digital Property. The use of a Tag allows us to record, for example, that an individual has visited a particular page or clicked on a particular advertisement. When a user views a Digital Property with a ZypMedia Tag, our servers (located at zypmedia.com or extend.tv) are notified, and we are able to collect information about what the user does on the Digital Property. Our Marketing Partners have ZypMedia Tags installed on their Digital Properties and ZypMedia Cookies that launch upon viewing of their websites. When you visit one of our Marketing Partner’s Digital Properties, the Marketing Partner permits us to collect certain information about what you do on that Digital Property, such as, IP address, the pages you visited, products you viewed, browser information and other Platform Data. In addition, our Marketing Partners and advertising customers may provide us with Platform Data that they have independently collected. We use this information according to their instructions, which may include determining what advertisements might be interesting to you and if we should serve you an advertisement. We may also engage in frequency capping of ads (which stops you from seeing the same ad too many times); performance analytics; fraud detection; developing new products and services; administrative and support services; ad reporting and conversions; and location based advertising where permitted by law. We may work with third party service providers to provide and improve the Advertising Services and our software. These service providers may only use this information as we instruct them. The Platform Data that we receive from our Marketing Partners’ Digital Properties may be shared back with the Marketing Partner that permitted us to collect the Platform Data. Thus, if one of our Marketing Partners allows us to collect information about individuals who use or visit its Digital Property, that Marketing Partner may also ask us to send that information back to them for their own purposes. In some cases, we may also share some Platform Data with our advertising customers, attribution and analytics partners, and other related parties to provide the Advertising Services. We may use Platform Data to create de-identified and aggregated information, such as de-identified demographic information, de-identified location information, de-identified information about the computer or device from which you access Digital Properties, or other de-identified analyses we may create. De-identified or aggregated information is not personal data, and we may use such information in a number of ways, including to provide the Advertising Services, research, internal analysis, analytics, and any other legally permissible purposes. De-identified or aggregated data may be shared with our advertising customers, business partners, Marketing Partners, and other third parties. If we are involved in a merger, acquisition, financing due diligence, reorganization, bankruptcy, receivership, purchase or sale of assets, or transition of service to another provider, then the information we have collected may be sold or transferred as part of such a transaction as permitted by law and/or contract. It is our policy to protect you from having your privacy violated through abuse of the legal system, whether by individuals, entities, or governments, and to contest claims that we believe to be invalid under applicable law. However, it is also our policy to cooperate with government and law enforcement officials and private parties where appropriate. Accordingly, we reserve the right to disclose information about you to government or law enforcement officials or private parties as we, in our sole discretion, believe necessary: (i) to satisfy or comply with any applicable law, regulation, or legal process or to respond to lawful requests, including subpoenas, warrants, or court orders; (ii) to protect our property, rights, and safety and the rights, property and safety of third parties, or the public in general; and (iii) to prevent or stop activity we consider to be illegal or unethical. Website: If you are browsing the web and prefer not to receive relevant advertising from our advertising customers, you can request to opt out from our services (click here to see details). We will then place a cookie on your browser that identifies you as having opted out. Remember that opting out is browser-specific. So, if you have multiple browsers or multiple devices you use to access the internet, you’ll need to opt out from each device or browser. Mobile Applications and other Digital Properties: If you are using a mobile application or other Digital Property and would prefer not to receive relevant advertising from our advertising customers, you can limit ad tracking by adjusting the settings as each application and/or device may permit. In addition, users of “smart” or “connected” TVs may opt out of some OTT advertising by visiting optout.tv and following the opt out instructions. To separately make choices for some mobile applications on a mobile device, you can download DAA's AppChoices application from your device's app store. Please note that in most cases you must separately opt out on each device. The online advertising industry also provides websites from which you may opt out of receiving targeted ads from some data partners and advertising partners that participate in self-regulatory programs. You can access these and also learn more about interest-based advertising, consumer choice, and privacy at www.networkadvertising.org/managing/opt_out.asp, http://www.youronlinechoices.eu, https://youradchoices.ca/choices, and www.aboutads.info/choices. Investigating, protecting against and deterring malicious activity, fake traffic or fraudulent, unauthorized or illegal activity. Consent. In some cases, we may rely on your consent which Marketing Partners obtain from you when you visit their Digital Properties. If our processing of your EEA personal data is based on your consent, you may withdraw your consent at any time. Legal Obligation. In limited scenarios, we may also have a legal obligation to collect personal data from you. If you have any additional questions about our legal bases for processing EEA personal data, please contact us as set forth below. In accordance with applicable law, you may have the right to: (i) request confirmation of whether we are processing your Platform Data; (ii) obtain access to or a copy of your Platform Data; (iii) receive an electronic copy of Platform Data that you have provided to us, or ask us to send that information to another company; (iv) restrict our uses of your Platform Data; (v) seek correction or amendment of inaccurate, untrue, incomplete, or improperly processed Platform Data; and (vi) request erasure of Platform Data held about you by ZypMedia, subject to certain exceptions prescribed by law. If you would like to exercise any of these rights, please contact us as set forth below. We will process such requests in accordance with applicable laws. To protect your privacy, ZypMedia will take steps to verify your identity before fulfilling your request. Please note that because Platform Data, by itself, cannot be used to identify an individual in the real world, we may not be able to authenticate your identity. Our Services are not directed to children under 13 and we do not knowingly target or collect any information from children under 13. Nor do we collect information from websites or mobile apps that are directed to children under 13. If we learn that we have collected PII of a child under 13 we delete that information as soon as possible. ZypMedia takes steps to ensure that your information is treated securely and in accordance with this Privacy Notice. Unfortunately, the Internet cannot be guaranteed to be 100% secure, and we cannot ensure or warrant the security of any Platform Data. To the fullest extent permitted by applicable law, we do not accept liability for unintentional disclosure. Platform Data may be transferred, processed and stored outside of your state or country (including in the United States), where the privacy laws may not be as protective as those where you live. Our Advertising Services are not directed to children under 13 (or other ages as required by local law), and we do not knowingly target or collect any information from children. Nor do we collect information from Digital Properties that are directed to children. If we learn that we have collected Platform Data from a child, we will delete that information as soon as possible. If you are located in the European Economic Area, you have the right to lodge a complaint with a supervisory authority if you believe our processing of your EEA personal data violates applicable law. We may revise this Privacy Notice from time to time. If we make any material changes to this Privacy Notice that effect personal data previously collected about you, we’ll post the changes on our website. © ZypMedia 2013-2017, All rights reserved.